I got a bit stuck overthinking the Style Lab so I took a break again. Sometimes I just need to do that. However, it's high time I dropped back in to file my overdue report on (not) shopping. I can’t put my hand on my heart and say there hasn’t been any shopping at all (hence parentheses) but I’ve been far more restrained than I would have been if we hadn’t made this pledge. I’ve been on a couple of shopping expeditions with friends and have found that walking away from the temptations of frivolous purchasing is easier than I expected (as is gently dissuading pals from buying rubbish). A Christmas gift: over the holidays, Mr Edge steered me into the men’s department at All Saints to try on a coat he’d spotted and was pretty sure I needed. He was right, as he often is, but I think he secretly wanted me to stop borrowing his. A craft project: I’d begun knitting a colourful shawl long before we proposed this undertaking. It’s now complete, but I bought a few extra balls of wool to get there. This will fend off the February blues and liven up the winter look. Some necessary items: a set of colourful boxer shorts (men’s department again) to use as lounge/sleepwear in combination with the excessive collection of concert shirts which I wasn’t wearing otherwise. One opportunistic sales purchase: a very excellent bra from Marlies Dekkers, absolutely gorgeous and a perfect fit. I am not going to apologise for this, because bras this good are hard to come by on discount, but it raises a good point about why a complete fast might not be for me. I’ll come back to this. I’ve been trying to get a few things off the bench and think constructively about how I want to look. I’ve done a few small customisation/alteration projects and found some new ways with old favourites, as well as taming some of my problem children. I’ve been dressing more and more around a few capsule formulae. I notice that in this respect I seem to be settling on a few definitive styles rather than throwing things together and hoping they match. I’ve done a fair amount of experimenting and had a few epic fails, but I figure it’s good to know what does and doesn’t work. I’ve been wearing an awful lot of black, white and navy blue. All in all, this is a very worthwhile exercise in which some of the key learnings from the Style Lab are being put through their paces. I have a sharper awareness of what’s actually in the closet. what should stay or go, and what will need to be replaced in future. On the other hand, the bra purchase shows why a complete fast probably won’t work for me in the long run. Some things are necessarily expensive, my budget is limited and wearing the best quality I can afford sometimes means pouncing on it when it’s on sale. This isn’t FOMO, it’s a long standing strategy and one reason why I have such a well-stocked wardrobe to begin with. I need to stick with it, but very selectively. Yes, I'm with you on complete fasts not being effective, for me personally. I've intentionally shopped a lot November - January, with the goal of getting summer shopping out of the way, and besides stocking up on white denim and linen pants, have picked up several well-fitting, well-made tops which would have been far out of my budget at full price. I'm tracking everything, so know that I now have enough tops and bottoms. Now keeping an eye out for sandals, accessories, and toppers. $15, looked good over the column of black I had on, will look better over my summer columns of white, and is worth the price for the experiment with a very wide garment in an area I used to try to minimize. My one frivolous purchase still has the tags on. It's a silk b/w graphic DvF backless jumpsuit which I would wear only at home. I'm not sure it's where I want to put $36, but Mr Maximal is a fan. Sounds like you have actually done reasonably well at sticking with the heart and spirit if the fast even if you haven't stuck with the "letter of the law". Seriously, it sounds like you're actually adopting the mindset you were aiming for so that's a win. Crochet is a hobby for me, so yarn totally doesn't count to my wardrobe budget. We're going to blame the coat on the Mister and we're also going to rationalize it as survival gear, not a wardrobe purchase. Congratulations on the progress and the shift in mindset. Keep up the good work! As a knitter, yarn doesn't count in a shopping ban, at least in my book. Sounds like you are doing GREAT. I agree that you absolutely have to pounce when you find an "opportunistic sales purchase" (a new term for me that I will use again). I found some opaque tee shirts (a HEWI) after Black Friday of last year. I bought three because I know I wear them a lot during the summer months and finding opaque tee shirts in 2015-2016 was impossible. If I found the perfect bra, I would buy it in an instant. In fact, I did buy a bra top (also during the Black Friday sales) and two new sports bras in December. Bras are such a crucial component of dressing. I should clarify that I have not stepped away from shopping, I am merely not buying. I put lots and lots of things into my cart. I just come back later and empty my cart. I think I have decreased my online shopping by about half though. That is a major success for me. Shopping fasts are very conducive to wearing what is in our closets. This just naturally evolves into experimentation. I love capsule/uniform dressing for the exact reason you mention: settling on a few definitive styles rather than throwing things together and hoping they match. I even go so far as to record my successes in powerpoint. Oh, one last thing. I wish I knew how to knit. Your scarf sounds gorgeous. Sounds like you have customized a fast that works for you. I love the bullet points where you state that you are thinking constructively about how you want to look and that you been dressing more and more around a few capsule formulae ... settling on a few definitive styles. I'm also in a stage where I am focused on those things. Looking forward to how you proceed. I get a big smile on my face when I hear you have epic fails because to me this means you are stretching creatively and taking risks -- always inspiring. Lets see your winners! I don't think the gift counts. The yarnis to create something so I wouldn't count it. I'm planning a couple of upcycle projects and may need some supplies. I don't count underwear. I just buy as needed, so I wouldn't count it either. So you really just filled a hole with the boxers. I don't see the point of the fast as doing without stuff you need. I just needed a break. I would fill any holes that came up. This sounds extremely sensible to me. My own feelings about this are that "bans" won't work for me, personally -- but mindful shopping can still be a goal. True necessaries (like bras and PJs) don't count in my mind as problematic purchases. Ditto for craft projects, and gifts are, well...gifts! Thanks ladies! I was pretty sure you'd see it my way, but I figured I should report transparently. Full disclosure and all that. Then again, shopping is shopping. Suz, shedev: I could speculate that I'm not actually fasting here, I'm just filling the shopping void with things that are easier to justify. But, a great bra is fundamental and the shorts are super cute so no regrets. minimalist: those sound like excellent purchases which will enrich your life and dang it if you aren't making me want a silky jumpsuit that I don't need. If I hadn't been committed to fasting I might have gone for a generic budget solution to the sleepwear problem and thrown an unnecessary lurex dress into the cart en route. Must stay strong. CWS, JAileen, I think I agree about the knitting. I'm really enjoying it but I know from years of sewing that some of the same pitfalls apply, Then again, easier to knit than to sew for others and I see a growing demand for pink woolly hats with ears. ;) Sterling: I picked it up relatively recently. Takes a bit of practise but there are some great instructional videos online. You should give it a try. AM: that's the bigger picture I guess. When it comes to acquiring cool stuff on a budget I'd say my shopping skills are pretty advanced. The problem is that I can't always tell the difference between what I want and what I need. I am doing a "no clothes/shoes shopping" in January and I agree with what Cynthia said. I think that it's a lot about changing the mindset, which you have. I feel a bit that I may have shifted my shopping a bit-- I spent some money on crafting this month, which I hadn't in nearly a year! But my calendars look beautiful! I think basics and windfalls don't count, hehe. I don't know that I can do a flat-out shopping ban. I'm a trendy soul. I feel a need to get out at least once a month to see what's happening. But I will say, last year, I became a lot less random in buying. I feel I've acquired less and gotten more out of what I did buy. Different courses for different courses- not that you are a horse of course!! I don't do a total ban either... I find there are often periods when I find clothes shopping unappealing on every level. And I am a moderate person so my indulgent periods are not extreme either. If you have only let in new pieces that you need love and can afford I think you are well on track. I know need can mean different things to different people, and sometimes love can be a short term fling... but these are times to be honest with yourself. Look forward to seeing the coat and scarf!! I think you've done extremely well--after all, fasting is not starvation! Very curious about your Christmas coat. I've done little clothes shopping since December, but my "fast" is more a loss of appetite. This season's styles were mostly unappealing for me, and I just didn't feel like trying that hard to make them work. The lingering depressed mood following our political debacle is still affecting me, too. I did go for some accessories to brighten and pull together what I already have, and a couple of wild cards on sale with which to experiment this Spring. I am not on a shopping fast or anything that approximates it, but I find your purchases perfectly acceptable part of a clean clothes diet. I am with you! I tried a fast but ended up buying a needed bra at the Nordstrom Fall sale. I think I am now more into what I call "Focused Buying". My strategy is more of keeping a list of needs and buying when they are on sale. I have found some pleasure in walking away from purchases. I have also struggled with not having some trendy items in my capsule. I think I would like to get to a point where I buy a few new items per season but not get too caught up in trends. Fast fashion can be quite alluring and I like to look current but current seems harder and harder to obtain. I am hoping to find a happy medium between current and classic without being too boring. I always enjoy reading your posts Appro. I am not doing the Shopping Fast because I actually shop in spurts. 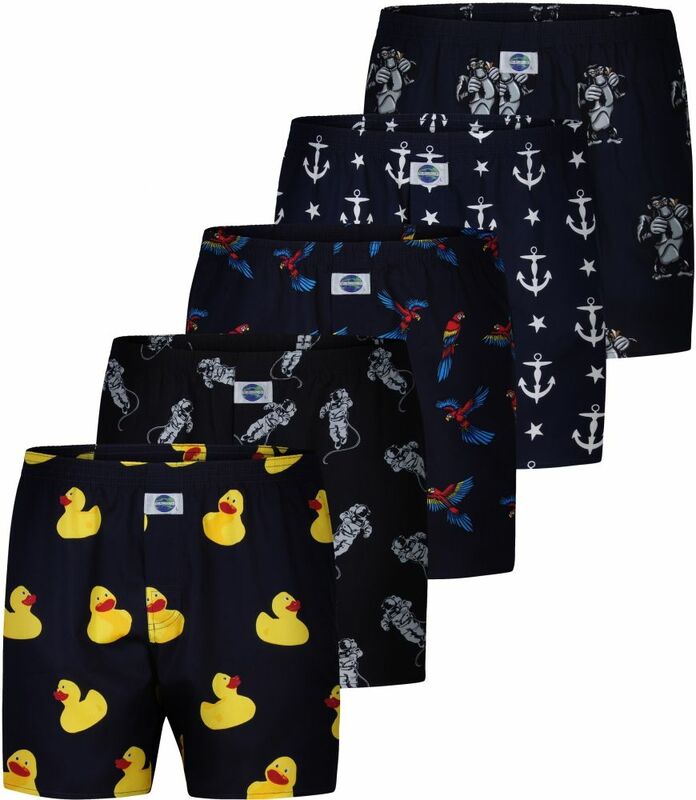 Your boxer shorts are very cute and seem to fall into the category of loungewear. Good bras are always hard to find and of course very expensive. I have one Marlies Dekkers bra and undies set. It is gorgeous. Makes perfect sense to purchase one on sale. I would call that a necessity. I had to laugh about the coat - that does not count as a purchase because it was bought for you! This is the type of shopping fast that I think I am ready for. Pouncing on the right item when on sale, but walking away from impulse purchases is a great strategy. I think I can be honest enough to know when an item is a genuine need - and for me a seasonal refresh of bras, gear and loungewear is always practical and not driven by impulse purchases. YAY, Liz. Shopping fasts are not the answer, but a healthy shopping diet IS. And you're on track. I'd love to see your new coat and crafty shawl. And it's always fun to get new undies. ENJOY. Cheers all! I'll post a WIW later this week with the coat and scarf. Meanwhile, I "found" the coat and dropped it here. Even though it's technically menswear, both he and I agreed that the curved revers facing and standing collar make it work better as womenswear. It's a fab addition. Angie, I agree, better to think of this as a diet than a fast, because it's all about slimming and trimming the excess. I don't see it as a change of mindset so much as a taking stock and embarking on the next leg of the journey. I do however want to avoid any ill-considered additions until I've pared things down a bit. Jeanie, rachylou, you got me thinking about how I approach changes in fashion. I know I'm ultimately quite trend-driven, which is inevitable because I'm always paying attention to what's going on in my immediate vicinity and using it for styling ideas, but I try to avoid being too obviously trendy in my shopping these days. Something to address in a future post perhaps. Your husband has exquisite taste--that coat is absolutely stunning! The way the buttons seem to curve--can all of them be buttoned? What a gorgeous coat! I love the leather surprise under the collar. Mr. Edge has excellent taste. That coat is absolutely stunning. Nice coat! Just your look.